Definition: Is the essential care based on practical, scientifically sound and socially acceptable method and technology made universally accessible to individuals and families in the community through their full participation and at a cost they and the country can afford to maintain in the spirit of self reliance and self determination. Primary health care reflects and evolves from the economic conditions and sociocultural and political characteristics of the country and its communities. Addresses the main health problems in the community providing promotive, preventive, curative and rehabilitative services. It includes education concerning prevailing health problems and the methods of preventing and controlling them. It involves, in addition to the health sector, all related sectors and aspects of national and community development example, Agriculture, education ,housing etc. Primary health care.. It forms an integral part of the country’s health system. It is the first level of contact of individuals, the family and the community with the national health system bringing health care as close as possible to where people live and work. ….socially acceptable methods and technology…. ….made universally accessible to individuals and families in the community…. …..at a cost that the community and country can afford to maintain at every stage of their development in the spirit of self-reliance and self-determination. Health is a fundamental human right and that the attainment of the highest possible level of health is a most important world wide social goal. The existing gross inequality in the health status of the people particularly between developed and developing countries is politically, socially and economically unacceptable. Economic and social development, based on a new international economic order is of basic importance to the fullest attainment of health for all. Government have a responsibility for the health of their people which can be fulfilled only by the provision of adequate health and social; measures. All government should formulate national policies, strategies and plans of action to launch and sustain primary health care. All countries should cooperate in a spirit of partnership and service to ensure PHC for all people. An acceptable level of health for all the people of the world by the year 2000 can be attained through a further and better use of the world’s resources. Is the whole mark of primary health care, without which it will not succeed. Community participation is a process by which individuals and family assume responsibility for their own health and those of the community and develop the capacity to contribute to their/and the community development. Participation can be in the area of identification of needs or during implementation. The community needs to participate at village, ward, district or local government level. Participation is easier at the ward or village level because the issue of heterogeneity is eliminated. This is the coordination of health activities with other sectors; such sectors include Education, Finance, Agriculture, Information etc. There should be a working relationship these bodies and the health ministry. This is defined as coordination of various primary health care components into a whole programme and made available at all times including referrals. -It ensures efficient use of all resources and removes areas of wastage. Decentralization of health of services into federal state-local government-ward levels. The essential drug services and the national drug formulae. making drugs available at all levels and at low cost. National health insurance scheme-where people contribute to the health services of those who don’t have or cannot afford. 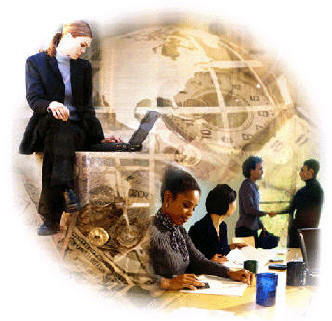 Money-Is to ensure that there is financial backing. Material- can be in form of physical facilities, drugs or other biological. There are 8 components (elements)of primary health care. Pregnant women and women of child bearing age (15-49 years) are the target group for special care. Children under 5yrs of age are also vulnerable to childhood killer disease. Maternal and child health clinics are established in Nigeria to take care of these groups. The most vital drugs should be available and affordable at all levels. The family’s food should be adequate, affordable and balanced in nutrients. The community should be informed of health problem and methods of prevention and control. Adequate provision of curative services for common ailments and injuries should be made by the community. A safe water supply and the clean disposal of wastes are vital for health. Endemic infection diseases can be regulated through the control or eradication of vectors and animal reservoir. PROBLEMS OF IMPLEMENTATION OF PRIMARY HEALTH CARE PROGRAMME AT LGA LEVEL IN NIGERIA. 4. Lack of commitment which can be at the individual or government level. 3. Community oriented primary care and primary health care/ Gofin. J.
American journal of public health.V.95no5 P.757, May 2005.